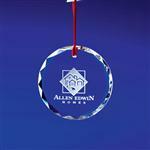 The Cross Jade Glass Ornament is the gift that will remind you of the holiday season ahead. Great for Christmas. The jade glass ornaments are available in a variety of shapes and sizes and are fully customizable so call for other available shapes! 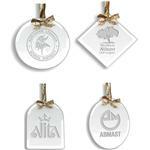 The ornament features ample space for your holiday message or logo. 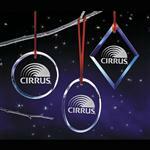 An elegant addition to any holiday tree or home. 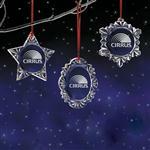 Customize this great ornament with your personalized logo! RUSH IS AVAILABLE. 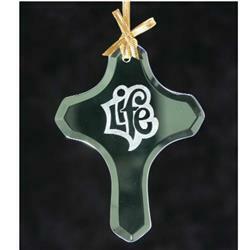 Dimensions: 4 1/2" x 3 1/2" x 1/8"
Glass material with Jade coloring. Cross shaped.